A provocative movie trailer “Blood Money”, shows the real Mitt Romney. “Blood Money” done by winningourfuture.com divulges corporate greed that follows Mitt Romney the former Governor of Massachusetts around like an inescapable political debate. Is he really the kind of person we want representing our country as the next Commander in Chief? Interestingly enough winningourfuture.com is the 2012 Presidential Campaign site for Newt Gingrich (R-Ga) Former Speaker of the House. This video does exemplify the fact that Mitt Romney helped forge the Obama health care plan with evidence of Medicare fraud. 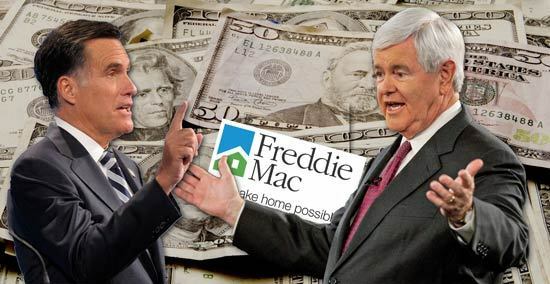 On the other hand Newt also took a substantial of what he dubbed “consulting fees” for 1.6 million dollars from mortgage lender Freddie and Fannie Mac during the 2008 sub-prime mortgage collapse. 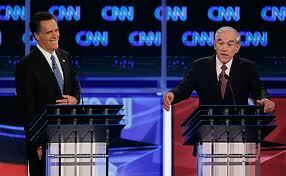 The only potential candidate running for the Republican GOP nomination is Ron Paul. This septuagenarian, USAF veteran, physician,author and U.S. Congressman who represents “We the People” is the only Constitutional choice. Ron Paul (R-TX.) beside Mitt Romney (R-Mass.) Thursday Nights CNN Republican GOP Presidential Debate in Jacksonville Florida. It is amazing that Newt Gingrich won the South Carolina Primary with Mitt Romney trailing behind him. With the Florida debates concluding, the 2012 Florida Primary is nearing its end on January 31st. Get out and vote you can make a difference. 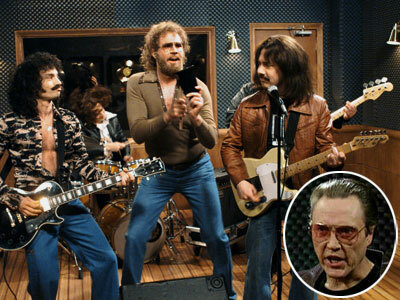 Similar to the cow belling Will Ferrel in the famous “Cow Bell” Oyster Cult Saturday Night Live skit with Christopher Walken as the 70’s music producer who craved more cow bell. However in this version the United States is Christopher Walken and it has a fever, a fever for Ron Paul. The U.S. needs more Ron Paul like Walken "needs more Cow Bell"
This Libertarian could go all the way. I suggested days ago once he solidifies his place in Iowa then New Hampshire beyond that point it may turn the tide nationally for a strong run for him during the very heart of the primaries . The Ron Paul political frenzy has only just begun. From Sean Hannity interviewing Dr.Paul one day on the touted “Fair and Balanced” FOX news to Neil Cavuto earlier this Friday at the Iowa Caucus. CNN has continued to question him about a taboo previously published article which he supposedly had stated something racist in. Ron Paul has now been in the lead for the Republican GOP Candidate Position for approximately 10 days. If He can sustain these positive numbers for himself through the duration of the primaries into the Presidential elections next fall then he could have a shot at the presidency. His greatest numbers come from the young voters, independents, democrats and libertarians.Below are the dates for the upcoming primaries and caucuses with their locations.